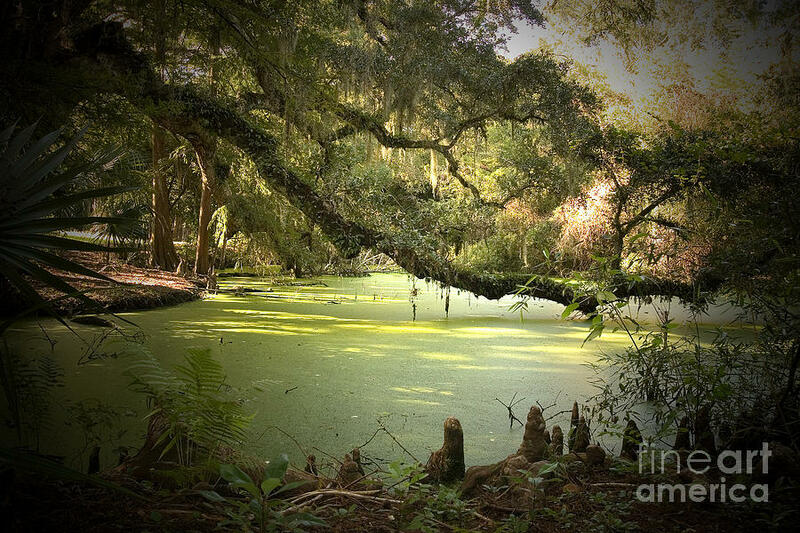 On Swamp's Edge is a photograph by Scott Pellegrin which was uploaded on January 15th, 2010. 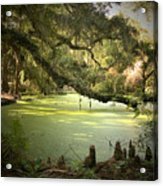 This can be cropped to standard sizes such as 5x7, 8x10 and 11x14. Feel free to email with questions/comments. 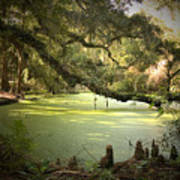 This is a color image of a swamp that is on Avery Island in South Louisiana. This image is available in color, metallic and black & white. This image is amazing when printed. Thank you for looking. The birthplace of TABASCO® brand pepper sauce, Avery Island has been owned for over 180 years by the interrelated Marsh, Avery and McIlhenny families. 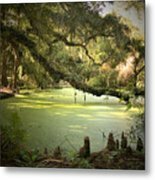 Lush subtropical flora and venerable live oaks draped with wild muscadine and swags of barbe espagnole, or Spanish moss, cover this geological oddity, which is one of five "islands" rising above south Louisiana’s flat coastal marshes. The island occupies roughly 2,200 acres and sits atop a deposit of solid rock salt thought to be deeper than Mount Everest is high. Geologists believe this deposit is the remnant of a buried ancient seabed, pushed to the surface by the sheer weight of surrounding alluvial sediments. The wonderful light glowing from the center of this image gives it a mysterious feel. Thank you Kay for the L/F and favorite in "Over 2000 Views" group. Nice work, Scott! L.F. and will use as a favorite in "Over 2000 Views" group! Thank you Johanna for the feature in "Over 2000 Views" group. Thank you for the comment, VF. So pretty! Congrats on your sale. Congratulations on your sale, Scott! Thank you for the comments Kim. Thank you for the comment Bill. Thank you for the comment Vicki. Thank you for the comment Louise. Such a lovely image, Scott. Swamps are so rich in imagery for those who have the eyes to see....and you do! Thank you for the comment Christy. Thank you for the comment F&V.. Debra, much appreciated. Lovely piece, Scott! I'm going to link to the preview in the Marketplace section for the next edition of the LRNArts blog. Thank you Louis for the comment and for the exposure. Thank you Dorothy.. I appreciate the comment and vote.